Prescription drug misuse can have serious medical consequences. According to the NIH, Increases in prescription drug misuse over the last 15 years are reflected in increased emergency room visits, overdose deaths associated with prescription drugs, and treatment admissions for prescription drug use disorders, the most severe form of which is addiction. The goal of this Fall Distance Learning Experience is to cover proper use of opioids and benzodiazepines as well as using and interpreting the PDMP and it will examine the FDA’s methodology for human abuse liability. For detailed information, please view the course outline below. Clinical instructors for selected UW School of Pharmacy experiential programs (e.g., 740, 741 & 760), who provide at least six lecture/discussion hours for SOP courses and retired pharmacists. Prescription drug misuse can have serious medical consequences. 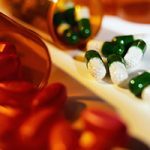 According to the NIH, Increases in prescription drug misuse over the last 15 years are reflected in increased emergency room visits, overdose deaths associated with prescription drugs, and treatment admissions for prescription drug use disorders, the most severe form of which is addiction. Among those who reported past-year nonmedical use of a prescription drug, nearly 12 percent met criteria for prescription drug use disorder. Unintentional overdose deaths involving opioid pain relievers have more than quadrupled since 1999 and have outnumbered those involving heroin and cocaine since 2002. This 9-part program will cover proper use of opioids and benzodiazepines as well as using and interpreting the PDMP and will examine the FDA’s methodology for human abuse liability. The faculty have no relevant financial relationships to disclose. They will not be referencing unlabeled and/or unapproved uses of drugs in their presentations. The University of Wisconsin-Madison ICEP designates this enduring knowledge-based activity for 12 hours (1.2 CEUs) of CPE credit. Credit can be earned by successfully completing the assessment (70% or better score) and evaluation. Credit will be provided to NABP CPE Monitor within 60 days after the activity completion. There will be no partial credit awarded for partial completion. The University of Wisconsin–Madison ICEP designates this enduring activity for a maximum of 12.0 AMA PRA Category 1 Credit(s)™. Physicians should claim only the credit commensurate with the extent of their participation in the activity. It is the policy of the University of Wisconsin School of Pharmacy and School of Nursing that the faculty, authors, planners, and other persons who may influence content of this activity disclose all relevant financial relationships with commercial interests in order to allow staff to identify and resolve any potential conflicts of interest. Faculty must also disclose any planned discussion of unlabeled/unapproved uses of drugs or devices during their presentation(s). Detailed disclosures will be made in the activity handout materials.